for the first to sign up for Legends Ride® and Biker Belles®! Sturgis, SD – The star of the Discovery Channel’s “American Chopper” TV series, Paul Teutul, Jr., will lead riders in the Sturgis Buffalo Chip’s 2018 Legends Ride presented by GEICO Motorcycle and Laura Klock and Karlee Cobb will lead the Biker Belles ride. To make the rides even sweeter, the Buffalo Chip is now offering the first 60 who sign up for the Legends Ride before January 19, 2018, a free 5-Star VIP upgrade. The first 30 to sign up for the historic 10th anniversary Biker Belles event will also receive a free 5-Star premium upgrade. 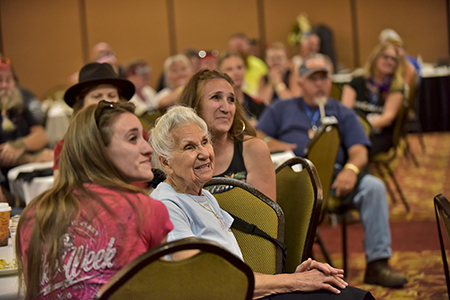 For over ten years the Buffalo Chip’s Legends Ride and Biker Belles, the premier charity ride events of the Sturgis Rally, have been a popular way for bikers to meet, greet and ride with celebrities while donating to worthy local charities. This year’s Ride that Rocks™ will offer riders the opportunity to rub elbows with celebrities, Paul Teutul, Jr. of Discovery’s “American Chopper”, award-winning actor Tom Berenger and famed photographer Michael Lichter, just to name a few. 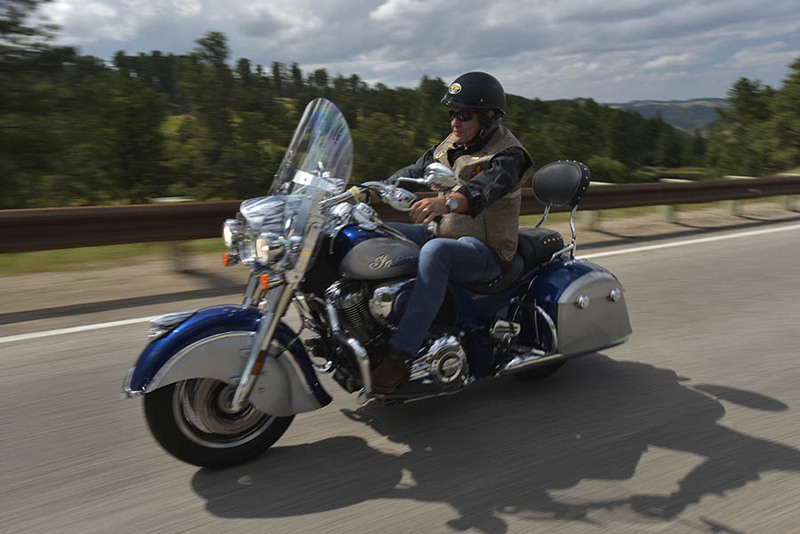 The Legends Ride has, since its inception in 2008, raised nearly half a million dollars for charity, purchasing a bus and helping to renovate a gym for South Dakota Special Olympians and creating a building fund for the Sturgis Motorcycle Museum. Riders from all over the world join some of the biggest names in television, film, music and motorcycling for the annual event. The Legends Ride will take place Monday, Aug. 6, 2018, beginning at the Historic Franklin Hotel, Main Street Deadwood and culminating with a reception at the Buffalo Chip. The first 200 riders to reserve will receive admittance to the Buffalo Chip amphitheater to experience performances on the main stage including Lynyrd Skynyrd. More information on the 2018 Legends Ride can be found here. Reserve a spot on the 2018 Legends Ride and get the free limited time 5-Star upgrade here. Klock and Karlee Cobb. Participants will also enjoy the Comfort Zone by Team Diva, followed by a catered lunch and the 2018 symposium titled “Shifting Gears.” The Buffalo Chip created Biker Belles for two complimentary purposes; to raise awareness of the passion, diversity and spirit of women in motorcycling and to raise funds for local charities that would be of particular interest to women. More information on the 2018 Biker Belles event can be found here. Reserve a spot for the 2018 Biker Belles and get the limited time upgrade here. The Sturgis Buffalo Chip’s Legends Ride is dedicated to bringing rally goers together to raise significant funds for local charities. Having raised nearly $500,000 for charity since its inception in 2008, the Legends Ride has played host to some of the biggest names in television, film, music and motorcycling, along with riders from all corners of the world. The annual Biker Belles charity event is a celebration of women in the world of motorcycling that centers on “Real Riders, Real Stories, and Real Passion.” Whether one rides his or her own bike or prefers being the passenger, this Sturgis Buffalo Chip®-hosted event offers a great opportunity to meet new friends and gain inspiration from pioneering women who continue to influence the world of motorcycling today. All Biker Belles proceeds support worthy local charities. To date Buffalo Chip programs have raised over half a million dollars for charity.